Democrats on the committee did not endorse or even vote on the findings of the investigation, and they didn’t know the report had been prepared before it was released to the public Monday. A Republican-led state Senate committee has concluded that Sound Transit misled lawmakers before they voted in 2015 to give the agency permission to put the Sound Transit 3 package of tax increases and light-rail expansion on the ballot. The Law and Justice Committee also concluded that the legislation giving Sound Transit new taxing authority — which passed overwhelmingly — was unconstitutional. The culmination of the investigation comes just two weeks before a pivotal Eastside election that will decide which party controls the state Senate. And, even by the standards of legislative work, the investigation was markedly partisan. Not only did Democrats on the committee not endorse or even vote on the findings of the investigation, they didn’t know that the committee’s findings had been prepared or finalized before they were released to the public Monday morning. Sound Transit, and increased car-tab taxes, have become major issues in the 45th District state Senate race that will decide control of the chamber. Sen. Jamie Pedersen, the ranking Democrat on the committee, said the findings shouldn’t even be characterized as coming from the committee, since there was no public meeting or vote. Pedersen said the first he heard about the report was when he was contacted by the media about it. Sen. Steve O’Ban, R-University Place, said that “for all intents and purposes” the findings were those of the committee. The investigation’s conclusions were foreshadowed by two public work sessions the committee held over the past several weeks, in which Republican senators grilled Sound Transit staff over their actions leading up to the Legislature’s 2015 vote and the public’s vote on ST3 last year. The committee released an executive summary of its conclusions Monday, but not a full report. Padden, however, said that because bonds have been sold based on ST3, a reversal is unlikely. “It will be difficult to unring that bell,” he said, while advocating for stricter oversight from the Legislature. Padden recommended legislation that would make Sound Transit’s board directly elected, rather than appointed by county executives, and said the Legislature should consider cutting the taxes that fund Sound Transit. 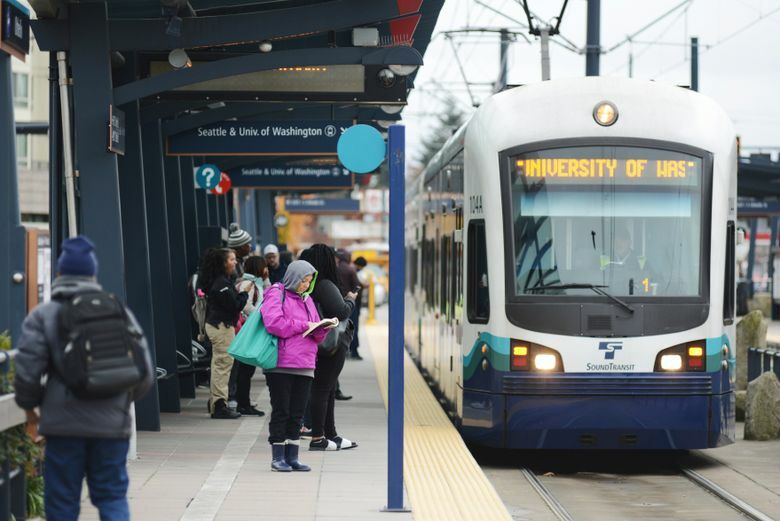 Sound Transit said it would continue to oppose any legislation that would harm its ability to deliver the light-rail, express-bus and commuter-rail projects that voters have approved. “This was a highly partisan endeavor,” Sound Transit spokesman Geoff Patrick said of the committee’s investigation. Lawmakers, the Republican-led committee said, were snookered by Sound Transit documents and news coverage that said Sound Transit would seek a package of up to $15 billion in new taxes to pay for the transit expansion. But the actual bill that the House and Senate approved specified the size of the tax increases, not how long those taxes would be collected. Sound Transit’s $15 billion figure was for a 15-year taxing package. After extensive public outreach, Sound Transit ultimately asked voters for a 25-year package, which yielded $28 billion in new taxes and — including existing taxes, debt payments and federal money — a total package of $54 billion. When voters approved that package last year, they knew full well the size of the package they were voting on — it followed voluminous press coverage that touted the $54 billion figure. The Republican-led committee also said the legislation giving Sound Transit permission to put ST3 on the ballot was unconstitutionally drafted because it concealed the fact that car-tab taxes would be based on an old system of estimating a car’s value. That old system, which Sound Transit inherited from the Legislature, inflates the value of newer cars, leading to higher taxes. But regardless of the confusing language, at least some lawmakers were aware that ST3 would continue the use of the old, inflated car-valuation system. In fact, as lawmakers debated the bill in 2015, a Republican proposal went to the floor of the Republican-controlled Senate to change the valuation system. It was voted down, after the lead transportation negotiators of both parties asked senators to vote no.